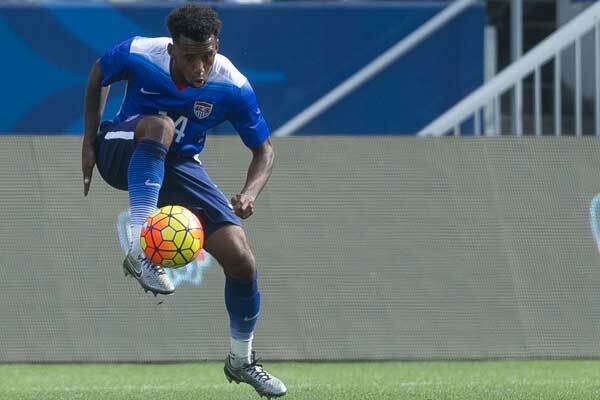 By Jason Davis – WASHINGTON DC (Nov 30, 2018) US Soccer Players - How young is MLS? Young enough that more than a few of its teams can count among their player ranks names that have been there since the club launched. In an environment where “expansion” is nearly always relevant and new clubs are popping up seemingly every year, players can be both original members of a roster and still crucial contributors to the current team. LAFC is all originals, at least for the time being. Atlanta and Minnesota are mostly the same. No surprise there, since those at the newest teams in the league. For teams with a bit more history, those that go back more than one or two years, having an original signee remain on the roster is a bit more special. Roster turnover is a fact of life in professional sports. New teams are notorious for changing course as they work out how best to compete in a new competition. 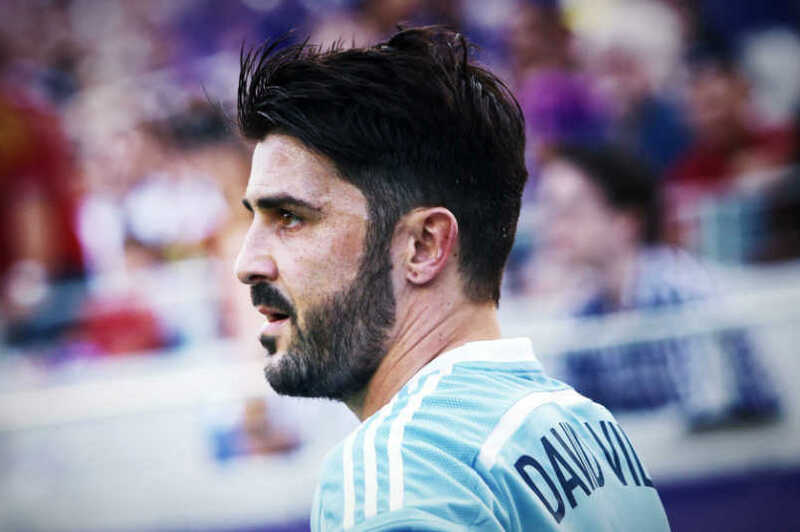 That’s what makes the departure of New York City FC striker David Villa so disorienting. Not only was Villa an NYCFC original, but he was also the first-ever player signed by the team. When the City Football Group-owned club needed an anchor figure to boost excitement in the crowded New York sports scene, they turned to World Cup winner and former Barcelona great Villa. Villa joined as the club’s first DP signing in late 2014 ahead of NYCFC’s 2015 on-field launch. He immediately raised the profile of the new club in New York. Although Frank Lampard and Andrea Pirlo would join the club during the 2015 campaign, it was Villa who happily carried the superstar mantle for a team that desperately needed a shot of authenticity. Because of the shared ownership with Manchester City and City Football Group’s wider global project, NYCFC started with a “farm team” label. Then came Villa. The Spanish forward threw everything he had into his new club. The question of a famous European player’s commitment when joining MLS as a Designated Player always looms large. DPs are often denied the benefit of the doubt when moving to the US because it’s natural to see their decision to join MLS as a grab at one last payday. It only stands to reason that players accustomed to a higher level and a higher pressure atmosphere wouldn’t take MLS all that seriously. Villa never gave anyone any reason to doubt his commitment. He scored 18 goals and collected 8 assists that first year as NYCFC tried to figure it’s approach and identity on the narrow confines of the Yankee Stadium field. The club finished eighth in the Eastern Conference and parted ways with coach Jason Kreis. Still, there was reason for hope. Much of it flowed from the energy and attitude of Villa. Villa went all in off the field as well. He dived into English classes to better communicate with his coaches, teammates, and the media. He spent time doing interviews and making appearances. With both Lampard and Pirlo struggling with form and injuries, Villa emerged as the face of the club. His fellow DPs spent time on other endeavors, flitted back-and-forth to Europe for side gigs, or were otherwise distracted. Villa never succumbed. He was here to win soccer games. It didn’t matter that this was MLS and not La Liga. A new look NYCFC entered 2016 ready to join the contenders. New head coach Patrick Vieira brought his pedigree and philosophy to the Bronx and Villa benefited. A 23-goal, four-assist season earned Villa the Most Valuable Player award as NYCFC finished second in the Eastern Conference and made the playoffs for the first time. Villa’s leadership played a big role in pushing NYCFC into the League top handful of teams. Vieira’s system might have worked without him, but it certainly helped to have a player of Villa’s skill and experience to help make an intense possession-based system effective. Solidly in his mid-30s, Villa’s time as an elite MLS goalscorer was always going to be fleeting. He again delivered an excellent season in 2017, scoring 22 goals and providing nine assists. If a downturn was inevitable, it didn’t look to be imminent. NYCFC’s season again ended in the conference semifinal round, but the expectations rose again ahead of the 2018 season. 2018 proved to be difficult, both for NYCFC and for Villa. The club suffered a significant blow when Vieira left for Ligue 1, while Villa dealt with an injury absence for a section of the campaign. The club finished third in the Eastern Conference. They faded down the stretch and ultimately crashing out in the conference semifinals for a third straight season. Even with the injury issues, Villa finished with 14 goals and five assists. He led the team in scoring again, remaining the only player ever to lead NYCFC in goals. Four seasons, four times Villa’s name appeared at the top of that last. Over the course of those four years, only Bradley Wright-Phillips with 78 scored more regular season goals than Villa's 77. That’s part of what makes the club’s decision difficult to understand. Villa’s contract expired at the end of the season, requiring a new agreement to bring him back for 2019. Villa doesn’t intend to retire, however, and might have come back to Yankee Stadium for one more campaign if the club offered him something reasonable. Undoubtedly, that would have meant Villa occupying a DP slot on the NYCFC roster. Perhaps that was the deciding factor for Claudio Reyna and the NYCFC leadership, as the club has pushed in a decidedly younger direction recently. It’s difficult to imagine any DP signing the club could bring in measuring up to Villa’s combination of skill, leadership, and fame. Particularly if the club makes a move for a younger player. MLS is changing. NYCFC is already behind the curve due to a seemingly intractable stadium situation. The idea that it’s time to move on from Villa at the end of his contract isn’t a crazy one. What is unclear is what NYCFC looks like without his oversized presence in the team and how much his departure changes the complexion of a club that has never known a season without him. Villa isn’t the only original NYCFC player to be leaving this offseason. The club is also saying goodbye to midfielder Tommy McNamara, a combination folk hero/occasional starter who earned the love of the fans despite bouncing in-and-out of the team’s plans. The turnover at NYCFC, even in a short four seasons, means that there will be no original players from the 2015 team left when the 2019 season kicks off next March. MLS is young enough that more than a few teams can count amongst its player ranks names who were there the day the club started life in MLS. It’s young enough that that will be the case for the foreseeable future. It’s also young enough that watching NYCFC take the field without David Villa will be a strange, unprecedented thing.